It began with an email out of nowhere. Honestly, I have no idea who reads my blog and listens to my podcast. Analytics are available, I know, but I don’t check them. So the email from Steve Mintz came out of nowhere, at least to me. Each morning during Spring Training, Mintzy told me, he and a couple dozen minor league coaches gather for Bible study and prayer. They’ve been doing this for the past few seasons with increasing success. Having seen some of what I had written, Steve thought it might be applicable to the guys he was around. From that series of initial emails came Diamond Devotions, Volume 2: Spring Training, which they used in 2018. Mintzy and I spoke again around the turn of the new year; they wanted another devotional book for this spring—Diamond Devotions, Volume 4: You Make the Call. Then, in what proved to be more than just a ‘nice gesture,’ Steve told me the coaches wanted me to come out and be a part of their study for a few days this spring. That put the wheels in motion. 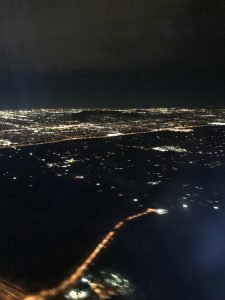 Having some of the cost covered through flight points, I estimated the remainder at around $1,000. At the urging of several friends of Baseball Pastor Ministry, I posted about the trip and the need to raise the funds. The response was nothing short of amazing. In less than two weeks, the ministry received the needed amount and beyond. Donations simply poured in, from both expected and unexpected sources. I stand amazed at what God did through the generosity of so many people. ‘Thanks’ isn’t enough. I didn’t orchestrate it. I didn’t manufacture it. I didn’t make it happen. But I know it’s not a coincidence. Mintzy didn’t just happen to find my website, didn’t just happen to be leading a Bible study for coaches, didn’t just happen to contact me. God orchestrated the whole thing. 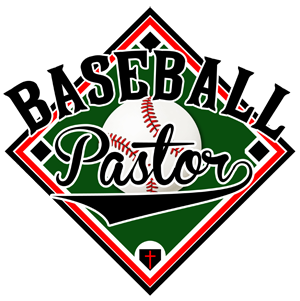 And not for the sake of Baseball Pastor Ministry or even for the sake of the coaches in the study. He did it for his glory, so that he might be magnified and praised. This wasn’t and isn’t about any of us, but about him. God is always making connections. Trust him. Wait on him. Follow him. Go when he says go. Stay when he says stay. Walk by faith. He’s doing things you cannot possibly imagine, not so you can have your best life, but so he can tell his story and live his life through you. Brad, I’m so happy you’re writing about the trip! I’ll be watching for the next installment.